However, don’t jump for that shovel-full of stuffing just yet. There are a few reasons you might want to be concerned. The first is that Thanksgiving is the start of a six-week downward spiral for dieters that ends with a few extra pounds added to your waistline. The other is that it sets the tone for the way you eat the rest of the year. Research shows that those who maintain the same #diet regimen throughout the year are more likely to maintain their weight loss than those who take “breaks” for special occasions. It may sound absurd, but if you are going to a holiday party, eat ahead of time. I know plenty of people who starve themselves before going to a party so they’ll have “room” for all the great food. They arrive — stomachs rumbling — and make a beeline for the high-calorie, high-fat appetizers and finger foods, easily eating more than a day’s worth of #calories. Instead, try eating enough healthy food beforehand so you’re full before you arrive. Then you’ll have much more self-control around those tempting party treats. I don’t know how many times I’ve heard someone say, “I’ve already ruined my diet, so it doesn’t matter what I eat now.” I’m not sure how that myth got started, but it can be hazardous to your waistline. The bottom line is, an extra calorie is an extra calorie — so eating a slice of pie shouldn’t give you an excuse to eat two more. And after a bowl of ice cream, you don’t have to eat whatever is left in the container. Have you ever heard of cutting your losses? Well, the same rule applies to cutting your gains. It’s never too late to stop. You might think that planning what you’re going to eat beforehand takes all the fun and spontaneity out of the occasion, but that’s just not so. You’re probably thinking about what you’re going to eat anyway, so why not make it work for instead of against you? In fact, practicing good eating behavior at special events could actually make you feel more relaxed and empowered, not frustrated or disappointed. It gives you the sense of being in control of your environment instead of being lured into the dark world of overindulgence. So plan what and how much you’re going to eat at the event before you even get there — set limits and you’ll feel better. For instance, if you know there’s going to be cake and ice cream and you typically have two or sometimes three servings, mentally rehearse having only one serving of each. And if you know you’re going to want dessert, cut back on your main course or make sure to have a low-calorie option ready, such as fruit. Getting the support of your friends and family is not always easy, but it’s worth a try. Talk to them about the healthy changes you’re making and enlist their help. The idea is not to have them police your behavior but rather empower you by being encouraging and enthusiastic about your new way of life. Looking for a guilt-free way to enjoy your favorite holiday treat? Try consuming fewer calories the day before and after the holiday, says Jo Ann Carson, Ph.D., a professor of clinical nutrition at UT Southwestern Medical Center at Dallas. “It’s basically a matter of calorie balance. 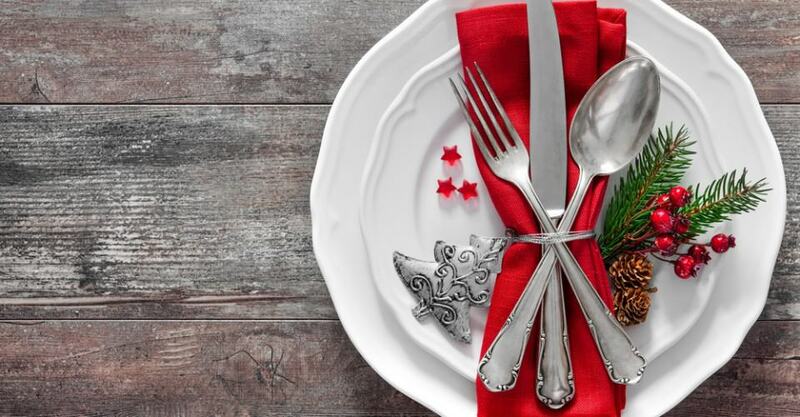 By consuming 500 calories less the day before and after a holiday, you’re leaving room for 1,000 extra calories.” So a rich holiday dinner or party can be balanced by a lighter meal the day after, Carson adds. “Offer to bring a dish to the next party. By supplying your own food, you can eat without abandoning your healthy diet, bypass the higher fat or sodium foods, and still feel a part of the crowd,” says Mara Z. Vitolins, Dr. P.H., a nutritionist and professor of public health sciences at Wake Forest University School of Medicine in Winston-Salem, N.C. Host a holiday event or party yourself. Believe me, with all that constant moving, planning, cooking and preparing, you are bound to lose weight (as long as you give away the leftovers). Or, if you don’t want to be the host, try helping out. If you’re constantly on your feet, setting up, serving and cleaning, you’ll have less free time for nibbling. We often eat without thinking — we’re so engaged in conversation and socializing that we stuff our faces without even realizing what or how much we’re eating. Remember what your mom always told you — don’t talk with your mouth full. And make a conscious effort to pay attention to what you’re eating — you might even enjoy it more. During the holidays foods you wouldn’t normally eat suddenly become more appealing (especially with a “you-only-live-once” attitude), so be selective. Eat the things you really love — maybe a small serving of mashed sweet potatoes, a sliver of pecan pie — and ignore the not-so-thrilling stuff. Alcohol decreases inhibitions — potentially causing you to eat more — plus it’s loaded with calories. If you’re going to drink, stick with wine or beer and stay away from exotic fruity cocktails or fancy coffee drinks. Most people miss the physical cues signaling that they have eaten enough. Instead of waiting until you’re bursting out of your clothes, try eating whatever you want, but stop once you are full. How will you know you’re full? Wait 15 to 20 minutes after a meal before requesting seconds or dessert. By delaying, you may find that your appetite for a second helping decreases.